Shame, shame Hillary. I guess turning the FBI into your own secret police was about as good an idea as having your own secret server or your own money laundering "foundation". So many secrets are beginning to bubble over now, and not just for Clinton. 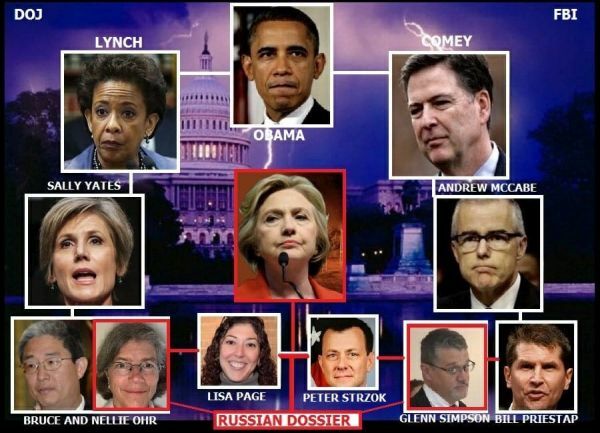 McCabe, Rosenstein, Strzok, Page, the DNC, the entirety of the fake "Russian probe" headed by Mueller...and dare we suggest...Barack Obama, among others, all have secrets they probably would prefer remain secretive. #ReleaseTheMemo. If Congress won't release it to the public, it seems they can have their very own leaker send it to Julian Assange, which would be rather poetic in its irony, don't you think? Here is more of tonight's mind blowing news from the Hannity show. -W.E. Tonight Rep. Gaetz told Sean Hannity that not only will the release of this memo result in DOJ firing but that people will go to jail!